When clients need “Systems Integration” service, Claridyne is ready to offer that service as we have experienced resources available both at onsite and offsite locations. 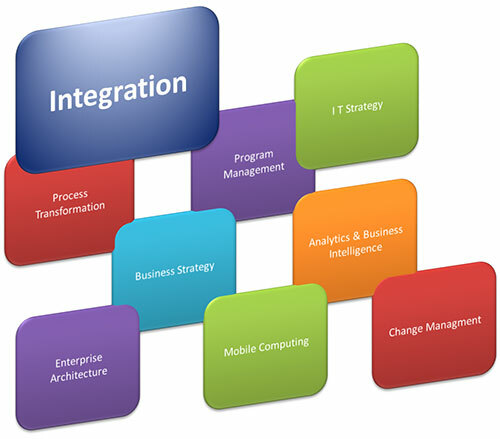 Systems Integration is a process of linking together different computing systems and software applications physically or functionally, to act as a coordinated whole. This service includes designing or building a customized architecture or application, integrating it with new or existing hardware, packaged and custom software, and communications. Most enterprises rely on an external contractor for program management of most or all phases of system development. This external vendor generally also assumes a high degree of the project’s risks. We can be your trusted partner to carry out that project as your in-house team.